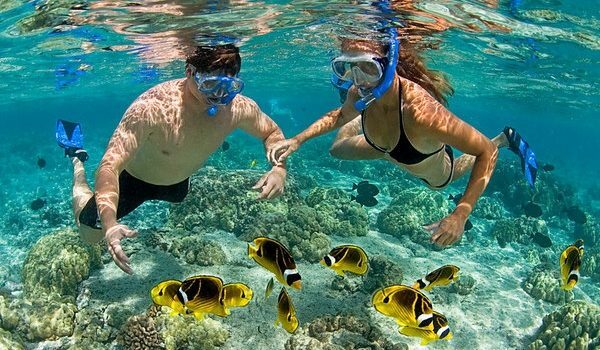 Snorkelling- offers a freedom and simplicity that appeals to many who do not dive. We understand that not all great dive destinations make great snorkelling destinations - and that it is not only divers that wish to have exceptional marine life encounters. 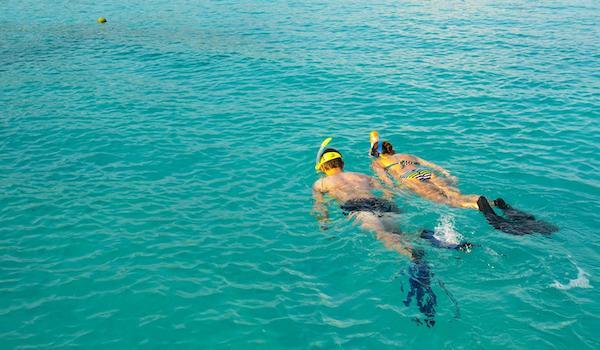 We know the great experiences snorkelling offers, and take pleasure in creating the very best trips. The world abounds with great snorkelling destinations. The ingredients of a great snorkelling destination are generally accessible, shallow coral reefs; clear, calm water; and of course interesting marine life. In fact, there is some truly exceptional marine life to see while snorkelling, some of which can only been seen while snorkelling. Offering a different experience to diving, there is no reason for those who cannot or do not wish to dive to miss out on exceptional marine life encounters. The Alegria Provincial Government established a Marine Park Entrance Fee System based on Tickets. Tickets are purchased for a fee of 100 Pesos (about 2 $) per dive. The local government will utilise these funds to finance a number of high priority conservation programs in the area, including patrols and enforcement to abolish destructive fishing practices such as blast and cyanide fishing, village improvement programs within the park, collection and disposal of plastic and other wastes entering the park’s waters, marine conservation education of village children and adults, and reef and mangrove rehabilitation. Tickets can be purchased through Alegria Dive Resort. We greatly appreciate your support and cooperation with this entrance fee system. Conservation of Sta. Filomena’s spectacular marine habitats requires funding, and your entrance fee is a valuable contribution to saving Alegria’s reefs. Our Home Reef also known as Angelley's Reef. A truly beautiful protected eco system situated in Sta. Filomena Marine Sanctuary. Alegria mainly known for Canyoneering & Waterfalls. Not a lot of people when visiting Alegria realise it’s one of the best Marine habitats in the whole of Cebu. You will find lots of different things on our Home Reef. Everything from small damselfishes to big green turtles as well as both soft and hard corals. There are fields of Staghorn corals, at the top of the reef. Turtles, Barracudas, Angelfish, Butterflyfish, Lionfish, Hawkfish, Nudibranch can be found in the waters of Sta. Filomena. Occasionally, a Whale Shark can be spotted even dolphins. Anyone Who Can Swim! Can Snorkel! The gin-clear waters of the Alegria, with out question is one of the best marine eco systems in the whole of Cebu and offers numerous snorkelling opportunities. Our first snorkel of the day will be at our Home Reef- you may want to spend an hour or maybe two, it really depends on you. A Snorkel guide is available on request. Catch your breath! relax, maybe have a spot of lunch or light refreshments and then we head off to our second destination. 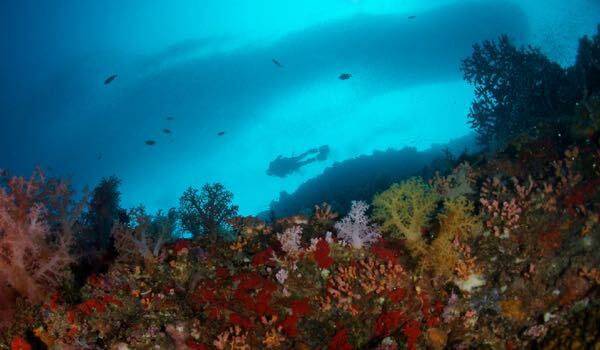 Arnolds Reef- WOW can only be described as an aquarium. 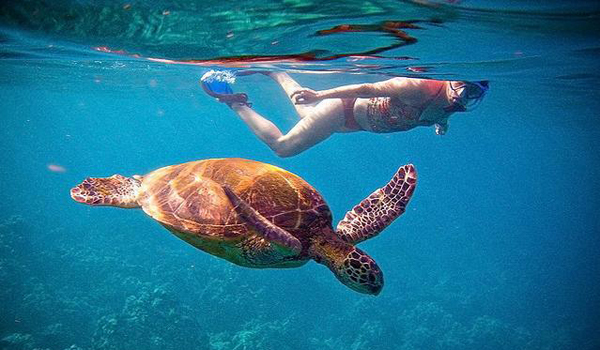 A snorkel guide will be guiding you throughout this experience. To enrol in a PADI Skin Diver course, you must be at least 8 years old. You need adequate swimming skills and comfort in the water. No prior experience is required. Enrol your course with us and get started earning your PADI Skin Diver certification. Learn Snorkeling And Skin Diving Techniques!